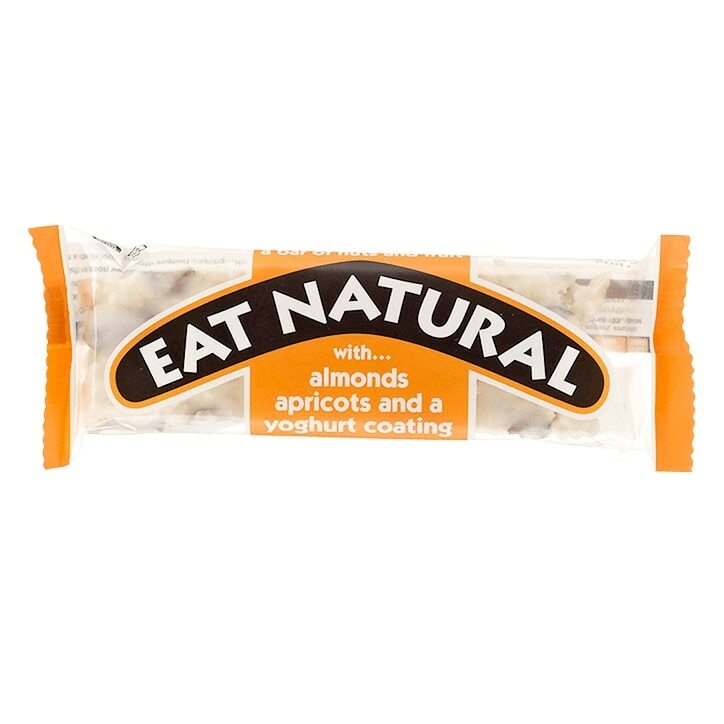 Eat Natural Almond & Apricot with a Yoghurt Coating is rated 4.4 out of 5 by 15. Rated 5 out of 5 by Rivit15 from Eat Yourself Fit Excellent Taste, Excellent Price, Take One With You Everyday To Stop Hunger Pains & Still Have Room For Dinner. Rated 5 out of 5 by ChrissyH from Love these I bought these for my dad to try and he really likes them so no doubt I will be asked to order more in the near future. Rated 5 out of 5 by SJLC from Yummy !! This cereal bar was so delicious I could taste all the flavours the apricot, coconut , honey and the yoghurt just made it perfect ! Best cereal bar for taste , will be trying more of your products . Rated 5 out of 5 by Classychick71 from Cereal bar Lovely cereal bar ,healthy and to add a bit of sweetness to it the delicious yogurt coating,would def recommend,really filling for a quick breakfast if your on the move.